Patrick’s Day has all the makings of a great holiday! 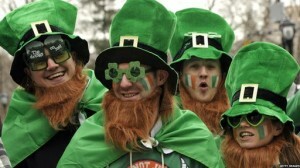 Not only does it feature lively festivals and parades, but also feast foods, Irish beer, and general revelry. With almost another month left before the next major holiday make the most of this one with our guide to a fun-filled St. Patrick’s Day! Watch a parade. The festive floats and fun costumes of a good holiday parade are always fun! Festivals have the fun atmosphere of a parade, plus food and sometimes games! Do a bar-hop, but only try the (preferably Irish) beers. Have a treasure hunt with friends for a pot of (chocolate) gold coins. Out! While the most hard-core of St. Patrick’s Day enthusiasts will make the journey to Ireland or Boston for the full experience, there is plenty of fun to be had wherever you have a good sized group of merry-makers together. As long as you don’t spend the day at home, it’s hard to go wrong! Top choices include a town center where you know a parade is passing through or a festival is going on, a club, a bowling alley, or a bar. Bonus points if it’s an Irish bar! Whatever you do, make sure that you’re wearing at least a bit of visible green! The more green you can incorporate into your outfit, the better. If you really want to have a good time, and contribute to the good cheer in your fellow partiers, treat St. Patrick’s Day as the Halloween of spring. 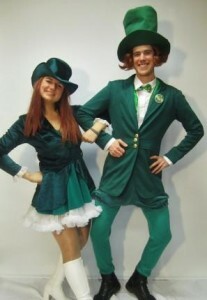 There are so many great costumes for St. Patrick’s Day! The leprechaun costume is a given and a wonderful selection at the same time. While it is the expected costume for St. Patrick’s Day, there are many great ways to add personal touches to this costume and to mix it up! Do you enjoy the spotlight? Wear a bedazzled, or head-to-toe glitter, Leprechaun costume. Feeling a little silly? 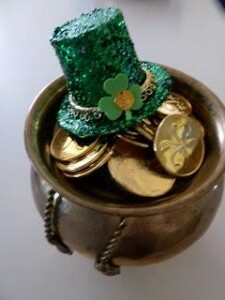 Then don’t forget your pot full of (chocolate) gold coins and, for good measure, glue a few to your costume! If all of your friends are already dressing up as leprechauns and you want to be more singular, dress up as a four leaf clover. This out of the box costume will not only inspire some laughs, but might even bring you some good fortune, if you believe in the old folklore! If nothing else, it’s a built-in ice breaker. Is green not really your color? You’ll still have to wear a bit of green if you don’t want to be pinched by an overzealous enforcer of tradition, but a pot of gold costume can make that pretty minimal. A major perk of this costume, aside from feeling like a million bucks, is that the forgiving design of the already-round costume will perfectly camouflage a food baby. Feel free to load up on as many potatoes and dyed-green desserts as your heart desires! The pot of gold costume is also a great ice breaker, and even makes for many excellently corny pickup lines. Here’s one to start you off – ‘hey baby, I have a heart of gold.’ Results may vary. On St. Patrick’s Day, potatoes and beer are de rigeur! Branch out by trying traditional Irish soda bread and corned beef this holiday, as well. And who could ever forget the desserts? Desserts and drinks are where the traditional association of green with the holiday goes wild. 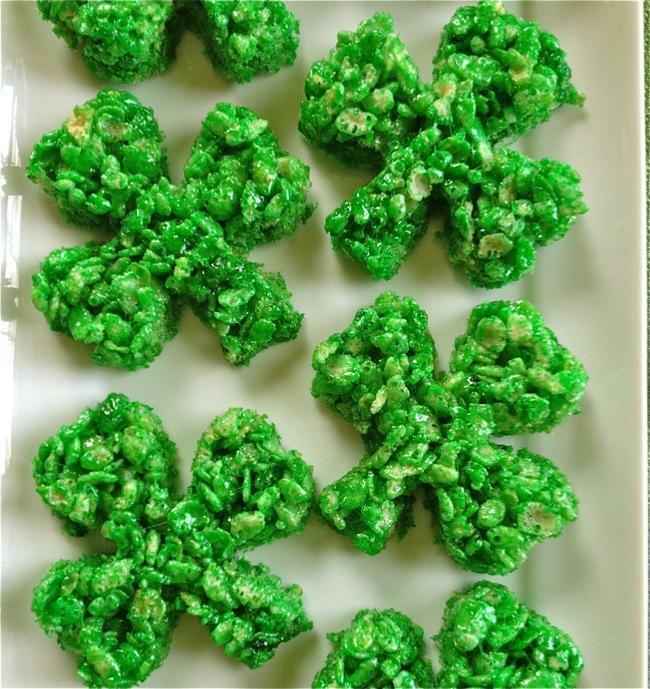 From green sugar cookies, to grasshopper pie and other bright green cakes and tarts, expect that anything that can be dyed with green food coloring will be! Whatever you’re eating, drinking, and doing this St. Patrick’s Day, be sure to do it in style. Don’t forget a festive costume to instantly turn up the fun!